Why Mobile E-Commerce or M-Commerce is crucial for your business? The success of your business depends on the ability to adapt the latest technologies and accommodate your customers in the best possible way. Nowadays, mobile usage has been rapidly increased due to the evolution of the internet and mobile technologies. Therefore, reaching customers via their mobile devices is very important to succeeding in today’s commerce landscape. Mobile E-Commerce or M-Commerce is the best way to reach customers in this day and age. Mobile E-commerce or M-Commerce is nothing but the use of wireless handheld devices, such as mobile phones, tablets and laptops, to conduct commercial transactions online i.e. sale and purchase of products and services, bill payment, online banking, information delivery and so on. In this present market, mobile commerce and selling products through mobile applications have become more and more popular among people all over the globe. Technological advances that have given wireless handheld devices, substantial computing power and advanced capabilities. The demand for applications from an increasingly mobile customer and consumer base. The way people buy products has changed since the days of going to a shop, buying a product and paying cash for it. Most people are no longer drive hours to a shop to find that what they want. They use their handheld devices to find the detailed information, price comparison, review and many more about products. Recent statistics show that online shopping helps you to save 78% more time when compared to do shopping directly in store, along with saving a lot of money in travelling to and from stores. With most mobile phones now coming with 2G, 3G, 4G or Wi-Fi facility, people have started using their mobile phones to do online shopping instead of using their desktop computers. This change has provided seamless opportunities for business prospect. Between the year 2012 and 2013, the traffic to ecommerce websites stemming from handheld devices and thus m-commerce has experienced a 254% increase every year and an average growth of 300%. 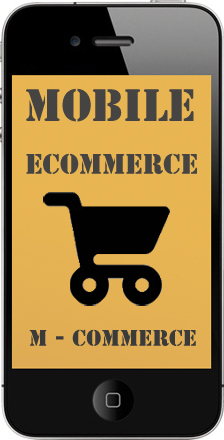 Therefore, mobile commerce is becoming very important day by day. So, mobile optimized delivery of your online business represents a momentous opportunity to increase relationship with your customers and maximize your profit. It is evident that mobile commerce allows your business to reach your customers closer to the purchase decision anywhere, anytime and anyplace. If you don’t have your business website tuned for mobile devices, then definitely you are missing major sales opportunities. Considering the budget aspect, the development cost of a mobile ecommerce website is comparatively less than an ordinary ecommerce website. By having a mobile ecommerce website, you just opened a new sales channel for you. Having more channels for your business will help you to increase your branding and marketing possibilities. 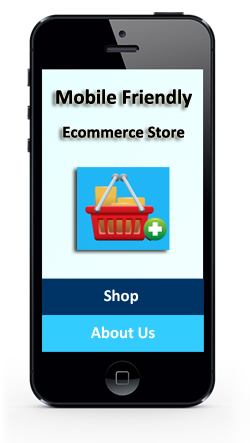 So, to make your mark within shoppers, make sure that you have an m-commerce or mobile ecommerce website for your business. It is not only a competitive advantage, but a necessity for your business to provide a mobile commerce solution to your customers. Author K2B SolutionsPosted on January 10, 2014 Categories Mobile Application DevelopmentTags ecommerce web design, ecommerce web development, ecommerce website design, MCommerce, Mobile Commerce, Mobile E-Commerce, mobile ecommerce websiteLeave a comment on Why Mobile E-Commerce or M-Commerce is crucial for your business?